I may be a bigger fan of District 9 when compared to most people. It’s partly because it’s set in my home country of South Africa, but mostly because it has one of the coolest mech scenes ever created. 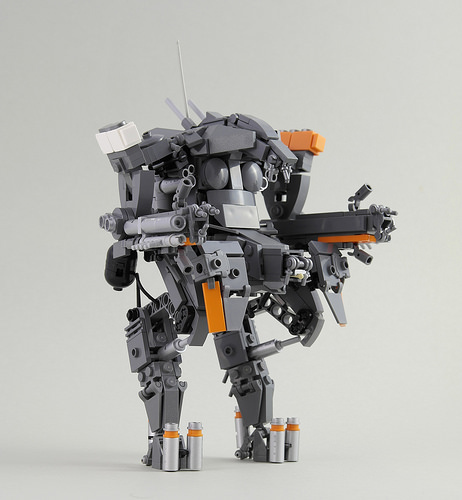 The Exosuit / mech prawn / bio-suit is done great justice by Jonas and uses some clever tricks to get all the details in this relatively small build. My personal favourite is the heavy use of the minifig pirate hook hands for multiple elements. Also check out another version of this mech by Brian Kescenovitz.